Another great project completed for the renowned interior designer, Hillhouse Interiors. This installation with Fibonacci basket took place in a property in Esher, Surrey and it involved a complete refurbishment of a client’s house. 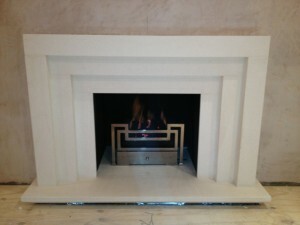 Our instructions were to remove an existing fireplace and replace it with a stepped limestone fire surround and Fibonacci basket from Chesney’s. 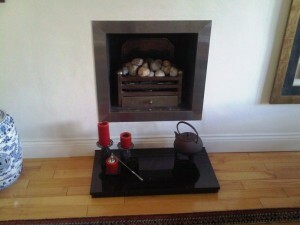 Then to install a remote controlled gas fire in the fire basket. 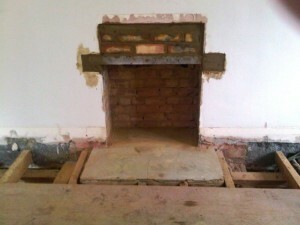 Due to the size of the flue, it meant that we could only have a relatively small opening. 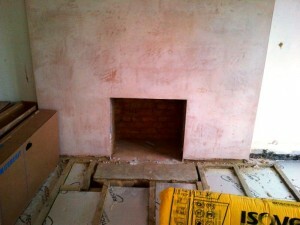 However, with clever design, the fireplace and the wall will look spectacular with the fireplace, mirror and lights. View another Fibonacci basket and limestone surround installed by The Billington Partnership.